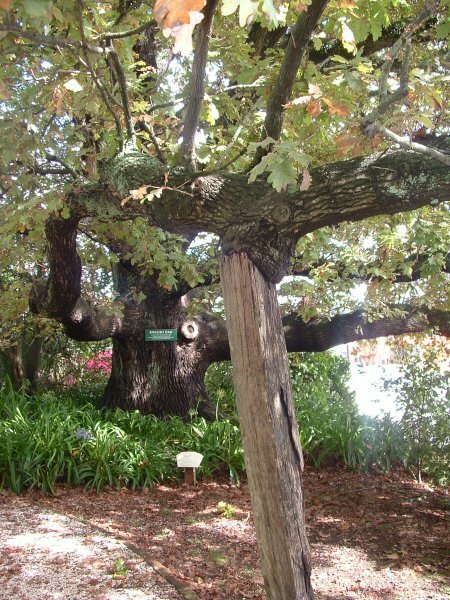 This historic oak is located in the grounds of The Elms Mission House at 15 Mission Street on the northern point of the Te Papa Peninsula, Tauranga. 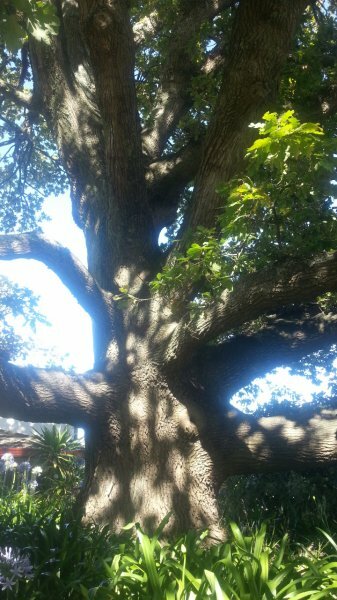 The tree was planted by The Reverend Brown from an acorn brought over from his home town in England and originally grown in his nursery up north before being brought down to Tauranga in 1838 (Ref: Maxwell, D.,The Garden Book, 1978. The Elms Trust Library). The oak is a mature tree with a single leader and a large spreading crown. The crown spreads mostly to the east and north with some very long lower branches one of which is propped up on an old post. This tree has been well maintained and has only small amounts of deadwood (P.O Sale, 2013). 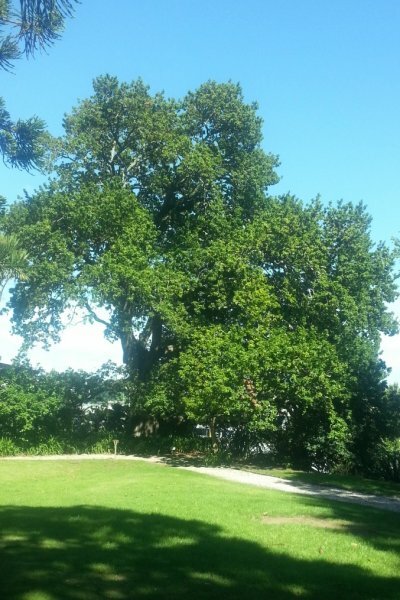 The tree is listed as T183 in the Tauranga City Council City Plan Historic Tree Register. The property has several historic trees. See group listing BPR/G1062 for more information on the history of the site. This tree is in very good health (Jan 2013). 02 Jan 2013 Sale, P.O. Situated on the North Lawn.